This 14 day Lord of the Rings New Zealand adventure is our most popular tour. Take a once-in-a-lifetime journey to Middle-earth, traveling from Auckland to Queenstown via many exciting LOTR filming locations, movie studios, and adventures. You will also meet those involved in the making of the movies, and get off the beaten track into the breath-taking landscapes and natural attractions New Zealand has to offer. Along the way, there are opportunities to fly over the Southern Alps, visit wineries, tramp, skydive or raft down a white water river. All within a small fellowship of like-minded travelers, led by our passionate The Lord Of The Rings guides. With the increasing El Nino, Global warming and changing weather patterns we have found it necessary to have seasonal itineraries to enhance your experience of Middle-earth. These comprise of the following months, please email us for a copy of your chosen New Zealand season. Direct bookings. Receive a free Red Carpet Tours gift. Be ready to depart at 08.00 ~ Auckland to Rotorua via Hobbiton. Trollshaw Forest and a wonderful guided tour of this Hobbit location and Mordor stunning scenery. Ohakune to Wellington. Gollums fishing pool and Erebor locations today. Visit Weta Workshop, Weta Cave and this afternoon one The Fellowship of the Ring location. Meet LOTR / Hobbit Calligrapher Daniel Reeve and in Winter we add a special movie guest to this day. Sail to Picton in the South Island, view the famous river, where the Dwarfs escaped from the Elves! 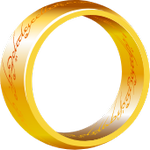 Meet and chat with the makers of the "One Ring". A scenic travel day via the central South Island, with a visit to beautiful Hanmer Springs. Head to the magnificent EDORAS! Survey the mountains and head to where the Golden Hall once stood. Visit tranquil Arrowtown, with opportunities to purchase Jewellery and or Bungy jumping ! The Breaking of the Fellowship, we visit 7 Lord of the Rings locations today. Farewell dinner. Devote today to optional Lotr activities! Alas ~ your journey through Middle-earth with Red Carpet Tours is at an end. We gather this evening for our Welcome Dinner, to meet each other and prepare for our early start tomorrow. Winter months include a special movie guest. Accommodation: Takapuna, Auckland. Be ready to depart at 08.00 ~ Auckland to Rotorua via Hobbiton. (A full cooked Breakfast is included from Day 2 to 13.) Prepare to be enchanted by Hobbiton - a very special site to visit. Have your camera batteries charged for photos of the tranquil Shire, Bag End, Sam & Rosie’s cottage, the Party Tree. Enjoy a cool drink at The Green Dragon followed by lunch in a Marquee beside The Green Dragon (included in tour cost). In Rotorua later today you will have the option of the beautiful Polynesian Spa and / or a fantastic Maori Cultural evening, dinner and show ( cost additional). Overnight Rotorua. Rotorua to Trollshaw Forest and a wonderful guided tour of this Hobbit location - stunning scenery. We will enjoy a picnic lunch (included) on our way to Mt. Ruapehu and the sites of Mordor, Emyn Muil and Mt Doom. Overnight - Where the Stars stayed! Ohakune to Wellington. This morning a Hobbit location of the Secret Entrance to Erebor and Lotr location of Gollum’s fishing pool, where Andy Serkis was careful not to plunge over the waterfall! Then, it's on to Wellywood ~ Wellington City. Tonight we dine at “The Green Parrot Restaurant” (Optional) - said to be a favourite of Viggo’s. Accommodation: Wellington, for the next 3 nights. Wellywood Day, Miramar - New Zealand's movie capital! Weta Workshop, Weta Cave, The beautiful Roxy Theatre for lunch ~ included in the tour. Later today we check out the "Get off the road!" location from Lord Of The Rings, overlooking the city. Dinner tonight? So many choices, your Guide will help you. Visit the Embassy Theatre, where the ROTK and The Hobbit World Premiere were held. Presentation day with LOTR / Hobbit Calligrapher and Cartographer Daniel Reeve. In Winter months we add a special movie guest presentation. Later today is yours to explore Te Papa Museum / see a movie at the special Embassy Theatre / or visit other Wellington places of interest. Our North Island Adventure concludes and our South Island Adventure begins! We catch the Inter-Island ferry from Wellington, sail to Picton in the South Island (approx. 3.5 hrs). After lunch, we drive to Nelson City, stopping along the way to view the famous river, where the Dwarfs escaped from the Elves, in barrels! How about a fantastic 1 hour easy kayak down this amazing river and movie location!! (optional extra) Accommodation tonight: Nelson. An early start south through the very scenic South Island, stopping along the way for second breakfast and lunch. We will travel via the beautiful wild Kaikoura Coast , stopping to take photos of our fur seals at play. We then travel south to Christchurch. An early night tonight for a big day tomorrow. Accommodation: Christchurch. It's time to head for the magnificence that is EDORAS - a very spiritual experience! It’s a 30-minute trek to reach the summit. The 360-degree views are breathtaking! You will stand where the Golden Hall once stood and survey the mountain panorama all around you as you fly the Rohan flag! You will be reluctant to leave. Refreshment awaits us at the Lodge before we drive south past Lakes Tekapo and Pukaki. Keep a lookout for our highest mountain; Aoraki, Mt Cook – the Cloud Piercer of 12,000 feet. Overnight; Twizel. (Buffet Dinner included tonight.) This is a great place to study the night sky - and see the Southern Cross. Special Guest a local Hobbit inspired seamstress - you may like to buy your own cloak. The Pelennor Fields ~ an area that once rang to the thunderous sound of 250 horses on the charge, as King Theoden’s battle speech roused men to battle. Moving on, we visit the stunning location of Laketown and enjoy a guided tour there. Time to try your archery skills - perhaps we have a budding Bard or Tauriel amongst us? Then head to Omarama for lunch. This afternoon a special visit to Mrs Jones's orchard. Overnight - Cromwell. The Harvest Hotel. Arrowtown ~ a charming old settlement, historically significant in the gold rush days of the 1860s. We visit our Jeweller to collect our pre ordered Lotr Jewellery. Enjoy second breakfast near the beautiful Arrow river. This afternoon there are opportunities to Bungy at the famous Kawarau AJ Hackett Bungy bridge. Keen to jump above the river Anduin? Back to Queenstown to enjoy our scenic cruise of Lake Wakatipu. Accommodation: Queenstown for our final 3 nights. The breaking of the Fellowship. Buy a picnic lunch today to take to Mavora Lakes, where we visit several Lord of The Rings NZ sites - The calling up of Shadowfax - The Silverlode bridge - The Orc funeral pyre - Fangorn Forest - Nen Hithoel - The log which concealed Merry & Pippin before Frodo left the fellowship - And where Sam and Frodo paddled away on the next stage of their journey. Stunning scenery! We arrive back in Queenstown by late-afternoon. Tonight we have our farewell dinner at the Elements Restaurant, at our hotel (included in tour costs). Devote today to optional activities ! -A Dart River Jet Wilderness Safari past LOTR & Hobbit sites. -Take a helicopter flight to the Ford of Bruinen. -Perhaps a cruise on Lake Wakatipu. -A parasail over the lake. -A coach & cruise trip to Milford Sound. -A guided walk on the Routeburn Track? -A Nomad Safari 4 Wheel drive half day tour -An adrenalin Jet Boat ride or a Bungy jump? -Para-sailing? Para-gliding? White water rafting? A hot air balloon ride? Trout fishing? Relaxation at Onsen Hot Pools? -Or retail therapy ~ shopping in Queenstown. The list "goes ever on" and your Guide will discuss the many options available and assist with bookings. Alas ~ your journey through Middle Earth with Red Carpet Tours is at an end. Thank you for traveling with us ..... there and back again..... Haere ra ~ Good-bye from us all at Red Carpet Tours. "Nai tiruvantel ar varyuvantel i Valar tielyanna nu vilya: May the Valar protect you on your path under the sky." Direct Bookings: Receive a Red Carpet Tours draw string backpack in our Summer months and a Red Carpet Tours beanie in our Winter months. Enjoy a drink at ‘The Green Dragon’ and a Marquee Festive Feast Lunch beside the Green Dragon! Behind the scenes Weta Workshop tour and exclusive discounts for Red Carpet Tours passengers! Special presentation and custom souvenirs from the LOTR and Hobbit Calligrapher and mapmaker Daniel Reeve! Queenstown Lake Cruise, the opportunity for Bungy jumping! Hobbiton Evening Tour and Banquet Dinner in the Green Dragon for March, September and December 2019 and 2020. September 2019 International Hobbits Day Celebration Tour, this will sell out fast ! March, September and December 2019 and 2020 includes the evening Hobbiton Tour and banquet dinner in the Green Dragon. Special guests from the films. ​2020 Tour rates and dates available, click on further dates or the book now button. For further enquiries, you may e-mail us at [email protected].